2016 Canadian Olympian Mandy Bujold will join Team Kingsway’s Teen Girls Boxing on December 5, 2016. 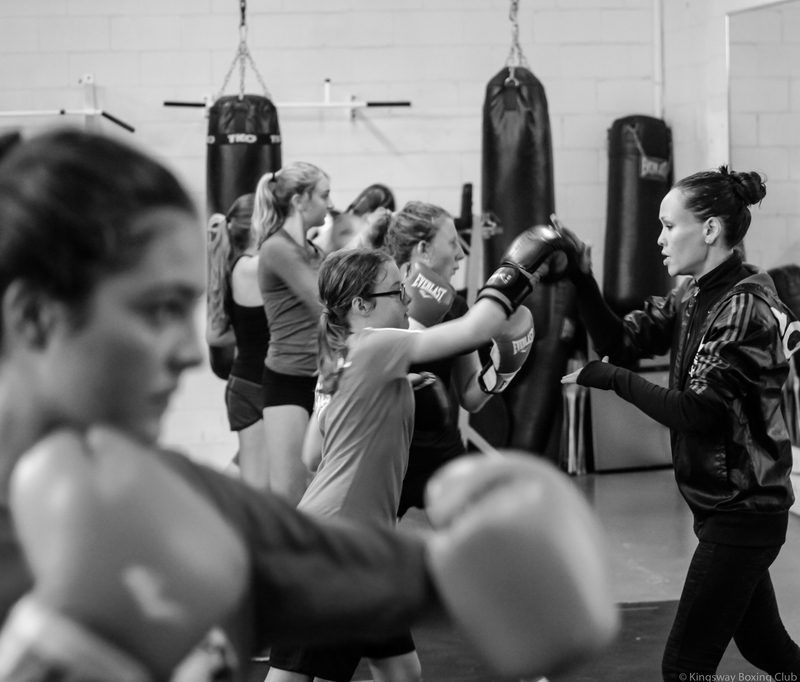 Jennifer Huggins leads the Girls Teens class at Kingsway Boxing, sharing her passion for the sport that changed her life. The Girls Teen Boxing Program is run by coaches Virgil Barrow and AIBA International Referee, Jennifer Huggins. After recognizing the incredible impact the sport has had on her life, she felt it was necessary to share her passion with the youth of the community. The girls who participate in this class learn the technical components of boxing and are given an opportunity to explore their confidence in ways that will help them in all walks of life. We look forward to welcoming the girls back and opening the doors to others looking to share in the experience. 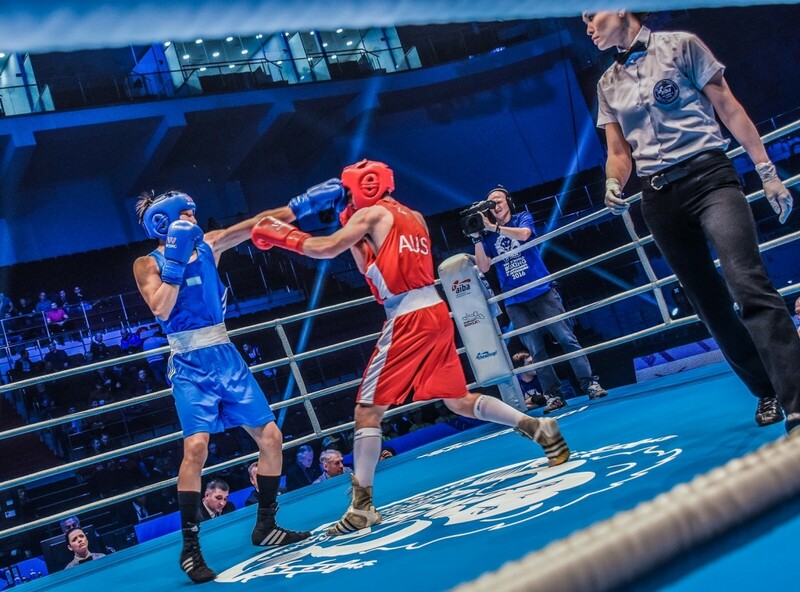 Those of you who follow Jennifer Huggins on social media, know that she was away last month on assignment for the Men’s Youth World Boxing Championships in St. Petersburg Russia. Jennifer has also had the honour of watching some of our talented Canadian boxers reach the Olympic level, including PanAm Gold Medalist, Mandy Bujold. 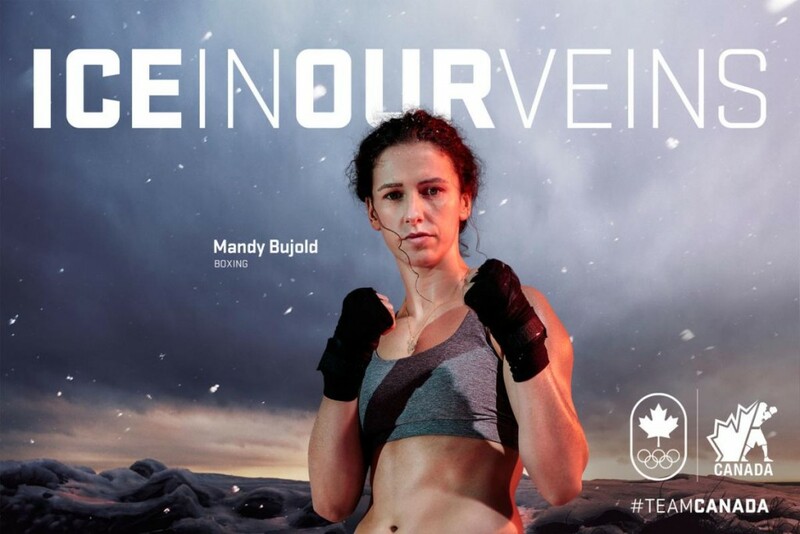 Representing Canada over the past decade, Mandy is a true hero in and outside of the ring. Jennifer Huggins referees a semifinal bout between Kazakhstan and Australia in the AIBA Men’s Youth World Championships in St. Petersburg Russia. It is with great pleasure that we will be inviting Mandy to coach the final Girls Teen Boxing Class of 2016 on Monday December 5, 2016. Mandy is not only a Boxing Canada Olympian, but she is a true champion in and outside of the ring. Last night I visited her coach Adrien Teodorescu in the ICU, fighting for every breath, his family at his bedside. Adrian is a legend of boxing, one of his many accolades including coaching Lennox Lewis in the 1988 Olympics. Mandy has been at his beside for 2 days straight, set up a fund for the family, and still insists that she would like to come to Kingsway on Monday. 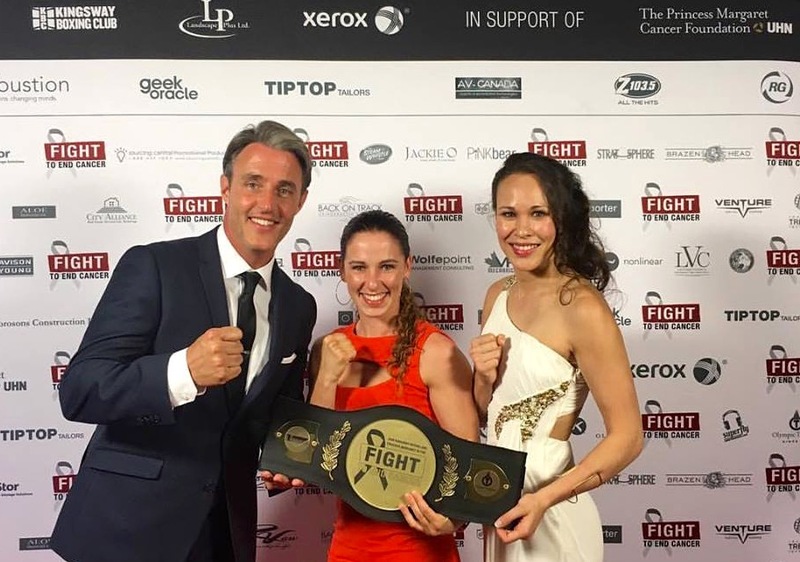 Ben Mulroney, Mandy Bujold and Jennifer Huggins on the red carpet of the 2016 Fight To End Cancer.